LESS THAN ONE in ten Irish rivers, beaches, and harbours inspected as part of a nationwide litter survey are considered clean enough to meet European standards. According to the survey by business group Irish Business Against Litter, only four of 50 areas surveyed were deemed “Clean to European Norms”. Almost 40% of areas were classified as littered or heavily littered, while three areas, Doolin Pier in Clare and two parts of Cork Harbour, were classified as litter blackspots. Just one beach, Salthill in Galway, was considered clean, and was praised in the report for the “virtual absence of litter” throughout the beach, promenade, car park, and changing areas. Similarly, sections of the River Shannon at Lanesborough in Longford and Carrick-on-Shannon in Leitrim were also found to be clean to European standards. Meanwhile, inspectors also praised Kinsale Harbour for being “remarkably free of litter for a busy harbour attracting lots of tourists”. In contrast, the Shannon at Portumna in Galway was deemed to be heavily littered, as was the River Suir in Waterford City. Blackrock Castle in Cork Harbour was found to have “large accumulations of litter”, including wood pallets, plastic containers and large pieces of plastic. Nearby, the Ballinacurra-Midleton area of Cork Harbour was also described as “a persistently heavily littered site throughout”. Similarly, the Pier at Doolin was criticised for its “high levels of litter and dumping”, with the report saying it was a “very unpleasant site” for tourists. 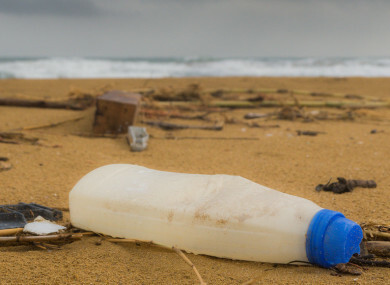 Speaking about the report’s findings, IBAL spokesman Conor Horgan suggested that tourism could be to blame for littering along the west coast. He said: “We know the success of the Wild Atlantic Way is placing strains on infrastructure of various kinds. The results contrast with IBAL’s recent surveys of Ireland’s towns, in which 75% of areas were found to be clean, compared to just 8% in this survey. Inspectors also found that the most common forms of litter along Irish rivers, beaches and harbours were cigarette butts, sweet wrappers, plastic bottles and cans. Horgan said that Ireland’s wet and windy climate helped to ensure that the likelihood of street litter entering local rivers or drains and being swept towards the sea was “very high”. Email “Litter survey finds majority of Irish rivers, beaches and harbours are polluted: here are the biggest blackspots”. Feedback on “Litter survey finds majority of Irish rivers, beaches and harbours are polluted: here are the biggest blackspots”.